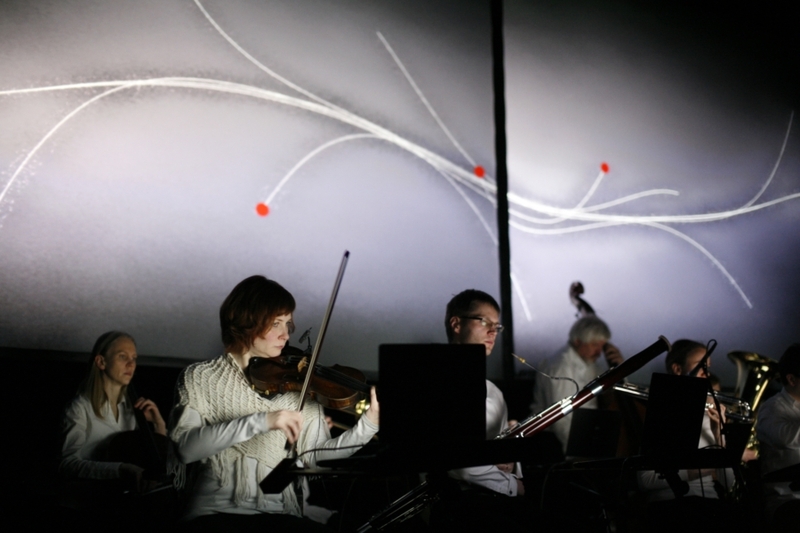 The HEARTCHAMBERORCHESTRA is a large scale audiovisual performance, consisting of twelve classically trained musicians. The heartbeats of the musicians drive in real-time a computer composition and visualization environment. A musical score is generated in real time from the heartbeats. The musicians read and play this score from laptop screens placed in front of them. A group based biofeedback slowly evolves to shape the piece based on the musicians physical condition while playing.